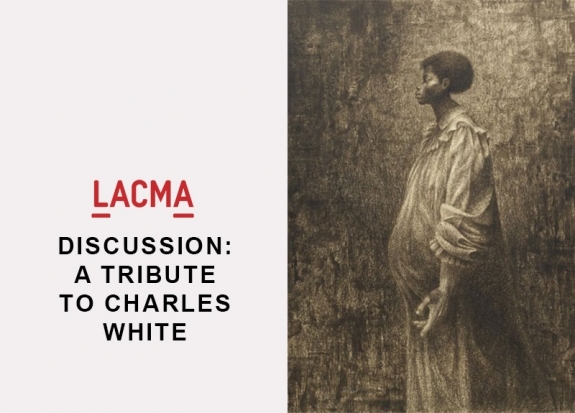 To honor the legacy of Charles White, scholars, students, and those closest to him will discuss this artist's groundbreaking achievements as artist, teacher, and mentor. Moving to Southern California in the mid-1950s, Charles White was not only a major participant in the art scene, but was fully involved in politics as well as filmmaking and music. Among his many friends were Harry Belafonte, Sidney Poitier, and Dalton Trumbo; among his students at Otis Art Institute (now Otis College of Art + Design) were Kerry James Marshall, Kent Twitchell, Judithe Hernández, David Hammons, and a veritable who's who of other outstanding artists. Above all though, his influence lives on in his exquisite drawings and prints, paintings, and other works that are featured in Charles White: A Retrospective. Speakers include Ilene Susan Fort, the museum's curator emeritus of American art and curator of the Los Angeles venue of the exhibition; Ian White, son of Charles White, an artist in his own right and archivist of his father's work; Judithe Hernández, renown contemporary artist and one of Charles White's students; Kellie Jones, Associate Professor of Art History and Archaeology in African American Studies at Columbia University; and Peter Clothier, noted writer and art critic. Reception following the program generously sponsored by Otis College of Art and Design.